HorizonCore believes that diversity is the great thing in the workplace. Over the last 10 years in the field of outsourcing IT services worldwide HorizonCore Infosoft Pvt. Ltd.has developed a unique relationship with their clients & employees. As far as celebration concern the enthusiasm of team HorizonCore is adorable. 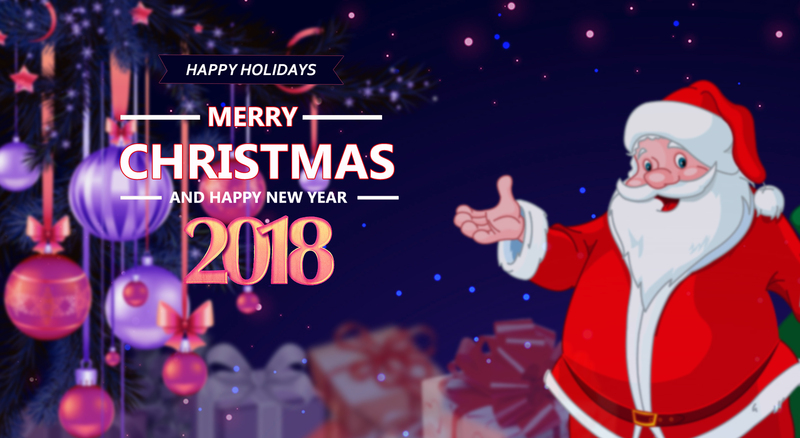 HorizonCore had decorated its website for the celebration of Christmas. This year also we have taken this tradition forward like every year, the festival of Christmas has also been celebrated at HorizonCore gloriously. We offered flat 20% discount on its best Web development services of the Magneto & Larval Development. It was a week-long celebration planned with organizing various days to welcome the upcoming new year 2018 by the enthusiastic team of HorizonCore. #Day1 celebrated with Secret Gifts, Christmas Cake and lots of fun. At evening each and every employee became Santa to make smile on the face of their colleagues. It was a moment of joy when they received the gift items they liked or they wish to. As we promise for the best service, team HorizonCore had worked thoroughly till the Christmas eve. Some of Santa had done coding all day long at HorizonCore! Delicious refreshment had re-energize the youngsters for the post-Christmas celebration. It was a memorable Christmas moment at HorizonCore which has boosted the inner team bonding, love, care and brotherhood among employees. On the #Day2 Twins Day celebration, Colleagues became twin on this day. The result was amazing, it was double the pleasure, double the fun. HorizonCore celebrated #Day3 Tapori Day with the funky & Zakkas look. With the remembrance of old college days celebration, all the employees dressed up like Tapori and gangster. Professionalism: It’s NOT the job you DO, It’s HOW you DO the job. #Day6 the last but not the least a professional day was celebrated warmly at HorizonCore. Along with outfits, the entire personality of each employee was transformed into a professional style. This is how we welcome 2018 at HorizonCore with full of joy, happiness, positivity, and endless opportunities.